Parents have come out in support of a school which is planning to slaughter pigs from its farm to teach pupils about the food chain. On Tuesday the Yorkshire Evening Post reported that Farsley Farfield Primary is planning to allow the slaughter of two pigs to teach children about the food chain and animal welfare. 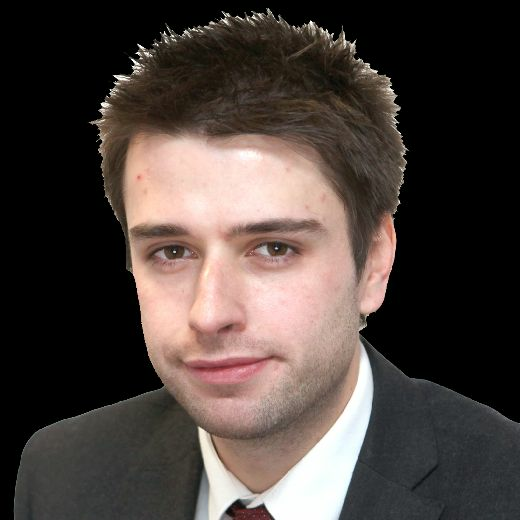 A petition was set up in response to the plans which attracted almost 2,000 signatures from campaigners who opposed the project. The school says it set up the project to educate pupils about the process that their food goes through to give them a better understanding of where their food comes from. A petition against the plan, created by Isobella DeMartino, who went to the school as a child, has garnered almost 2,000 signatures. Ms Martino wrote that the school planned to allow parents to buy back the meat, but the school has said no decision has been made on how it will be sold. She wrote on the petition: “My main concerns are with the well being of these pigs who don't deserve to die, and the message that we will be teaching the children at Farsley Farfield that it is okay to exploit and kill animals with the only justification being that people enjoy eating their bodies. Readers on Facebook largely resopnded with praise for the plans. Katrina Heseltine said: "Are all the people against this vegetarians? "As a parent of a child at this school and a huge animal lover who eats meat, pork included I'm all for this. "Children should know where there food comes from and how it gets on to the plate. The child isn't going to the slaughter house to see the process so no child should be seriously affected by this." Scott Bradd said: "I think it’s important to see where our food comes from, I think at 16 children should be taken to slaughter houses to see the process..
Lisa Wright: "My children attend this wonderful school we had no issues when we were notified about it"
Karen Flanagan: "Children should learn where their food comes from, obviously they should be taught that not all animals will have such a nice life as the pigs in school, but they should know where sausages & burgers come from. Food is far too sanitised." Michelle Webster: "Yes the pigs are lovely but they are bred for meat and no other reason - its good for children to learn this at an early age. "These pigs are having a lovely life, unlike others in mass pig farms - what a load of rubbish ! FFPS parent and very proud of it." Anne-Marie Billington added: "I don’t really understand everyone who is against this? Are you all vegetarian/ vegan? If not, then I think you need to question your own moral standards. I would prefer that the pigs didn’t get killed at all but I think trying to teach children where their food comes from and the value of life should be seen as a good thing? Danny Newton said: "People eat meat, that's a fact of life. These pigs have clearly been well looked after, far better than most mass farmed animals. "Unfortunately many people won't fully read the article and will read the newspaper tag line, and have a knee jerk reaction. "I'm personally grateful to the school for teaching our children about where our meat comes from, and giving them the opportunity to engage with the animals whilst doing so." Sarah Widdowson said: "My son attends a SEN school and they have sows that have piglets every year and they end up slaughtered, butchered and sold by the school, none of the kids are traumatised and all have an excellent understanding of the circle of life and the food chain. "To sugar coat the facts is surely more likely to cause trauma than to deal with the situation as a matter of fact!." Carol Barrow said: "Oh this reminds me of my youngest daughter, years ago . She found out where meat came from , and decided she was only having vegetables in future. So I just put some vegetables on her plate at tea time ( she only liked roast potatoes and garden peas).She soon changed her mind and had some meat , which happened to be chicken, her favourite . Sarah Coupland Jenkins added: "My school had a farm too. It was a valuable part of our education. We learned about all the life stages of various animals. Much better than just reading about it.."
Georgina Baker said: "I have three children attending this school and I don’t see any of them traumatized. It is common knowledge that these pigs are not pets and they don’t even have a name. "All the children and parents were under no illusion from the onset that these animals had a purpose at the school and it certainly wasn’t to be a pet. "Suggesting these pigs should live at the school or anywhere else forever more is ridiculous and totally goes against everything that was to be learned by this exercise. 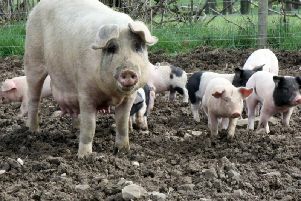 "These pigs are well fed, well looked after and my children have certainly enjoyed having them on the farm. They are there to teach our children about the meat we eat and how it’s produced no more no less. I as a parent fully support the school in learning our children about such things and I appreciate the extraordinary efforts Mr Harris has gone through to make these things possible."